Winner of the Modern Language Association's Aldo and Jeanne Scaglione Prize for Comparative Literary Studies Who speaks? The author as producer, the contingency of the text, intertextuality, the "device"-core ideas of modern literary theory-were all pioneered in the shadow of oral literature. Authorless, loosely dated, and variable, oral texts have always posed a challenge to critical interpretation. When it began to be thought that culturally significant texts-starting with Homer and the Bible-had emerged from an oral tradition, assumptions on how to read these texts were greatly perturbed. 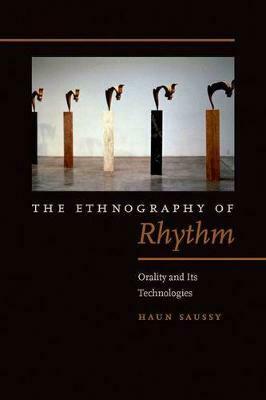 Through readings that range from ancient Greece, Rome, and China to the Cold War imaginary, The Ethnography of Rhythm situates the study of oral traditions in the contentious space of nineteenth- and twentieth-century thinking about language, mind, and culture. It also demonstrates the role of technologies in framing this category of poetic creation. By making possible a new understanding of Maussian "techniques of the body" as belonging to the domain of Derridean "arche-writing," Haun Saussy shows how oral tradition is a means of inscription in its own right, rather than an antecedent made obsolete by the written word or other media and data-storage devices.